In today's fast-growing tech-world, the idea of blockchain development is rapidly trending and getting attention across numerous sectors. Since the introduction of blockchain technology, it has evolved a lot with a potential of covering every business model in the future. According to a Statista report on the regional spending on blockchain services worldwide, U.S. spending on blockchain technology development solutions which amounted to 0.2 billion u.s. dollars in 2016 is estimated to reach about 0.6 billion u.s. dollars in 2018. This figure on spending is likely to hike up in coming years with a projection to reach approx. 4.2 billion u.s. dollars in 2022. Currently, the technology is in its nascent stage and is on the way to reach such a height where no business could even think to exist without integrating blockchain development services in their current business model. In layman's terms, Blockchain is an immutable, distributed ledger that records the transactions in blocks which are linked using cryptography. In addition to this, blockchain can also be used for recording any other kind of data which has prompted the blockchain app developers and the experts to dive in and explore the feasibility of its incorporation in multiple sectors. From the financial sectors to the non-financial sectors like real estate, healthcare, insurance, logistics etc. and even the government sector, many industries are using blockchain for managing their tasks efficiently without any data security issues. Goteso is a top-notch blockchain application development company and developers in our team are well versed in working with multiple blockchain platforms. Service For Managing Supply Chain: As the data recorded in the blockchain is immutable, blockchain can be used for efficient inventory management. It can be of immense use in maintaining a record of the number of goods added or removed.It would make supply chain management process simpler, transparent and more secure. Develop Smart Contracts: Smart contracts are the virtual form of contracts based on the blockchain concept which are coded according to some predefined rules. 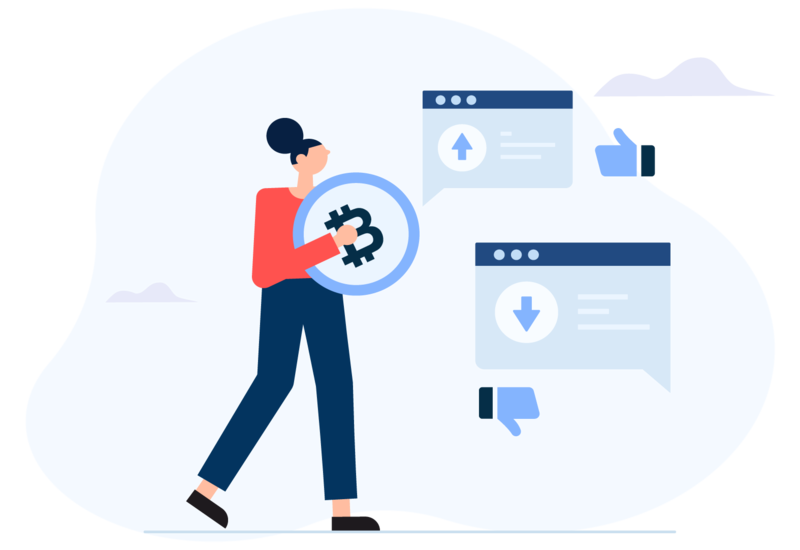 The features which provide an edge to smart contracts over the traditional contracts include task automation, minimal or no errors, highly secure which in turn leads to an increase in productivity with reduced total cost. Permissioned Blockchain Or Private Blockchain Development: In the private blockchain network, an access layer is added into the blockchain nodes which allows the participants in the network to restrict and select who can do the transactions or can be the part of the network. It is extremely efficient in a way that it provides better security, fewer scalability issues, and faster transaction. If you are searching for a reliable and dedicated team for blockchain based software development for your business, we can surely help you out with it. We are one of the best blockchain solution providers and would love to know your requirements for the project. Our blockchain developer has all the expertise in this field and our team ensures the timely delivery of the work according to the specified requirements. Talk to us today!